Those who have been keeping up with the marketing campaign for Logan, the final Wolverine solo movie starring Hugh Jackman, have been getting very small lessons in black and white photography. 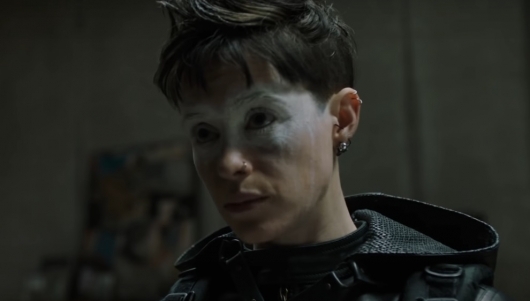 Most of what we’ve seen so far have been black and white images posted on social media either through the cast’s accounts or on director James Mangold‘s account. The latter offers the ISO count and the shutter speeds used to take the photos. 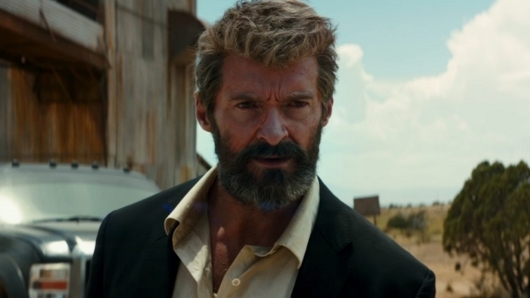 While most of these have been looks at the supporting cast, we haven’t had a really good look at how Logan himself will look, aside from the scarred hand that was seen in the teaser poster. Now a new image has popped up online giving us an idea of how old Logan will be in the film and how his powers may be deteriorating in the process. Check it out below. The marketing campaign for Logan, the third installment of Wolverine’s X-Men spinoff franchise starring Hugh Jackman as the title character, has kicked off in a very interesting way. After the release of the teaser poster, we’ve been getting little hints about the film via its Instagram page. 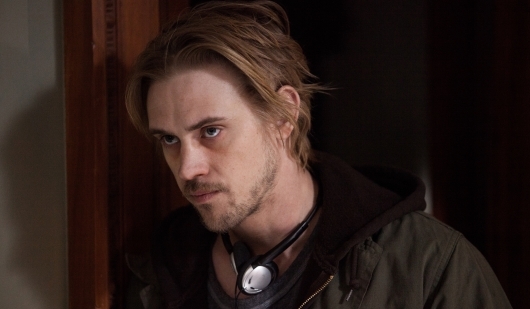 That is where we learned Boyd Holbrook will play Pierce, a notable X-Men villain. 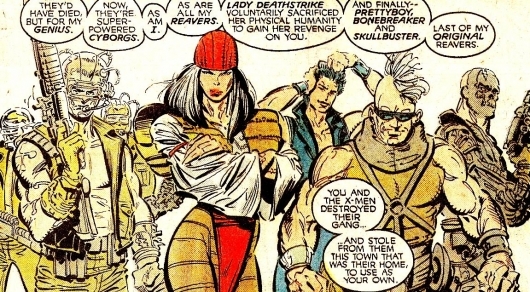 In the comics, Pierce has ties to two very powerful groups, one as a member of the Hellfire Club and the other as the leader of the Reavers. The image of Holbrook with sunglasses gave us an idea of how desolate the future really is. But there were no Reavers. Until now. A new image posted gives us our first look at the Reavers, who may or may not resemble their comic book counterparts. Check out the image below. 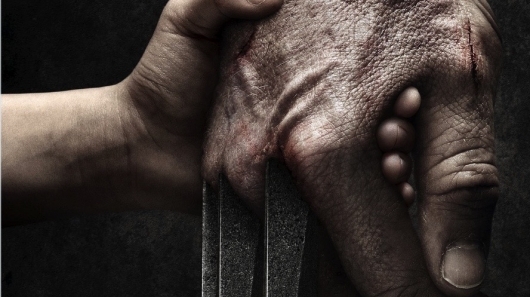 Last week Fox kicked off the Logan — formally known as Wolverine 3 — marketing campaign with the title and a teaser poster. 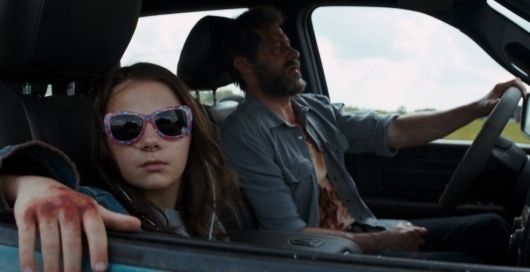 Though the film’s plot was wrapped in secrecy, unconfirmed details said that Logan’s healing factor was deteriorating and that the aged mutant was using booze to numb the pain. What we do know is that the film will be based on the “Old Man Logan” story arc written by Mark Millar. However, it was thought that Mr. Sinister would be the villain of the film given an Essex Corp briefcase was last seen in the facility that gave Logan his metal claws during an after credits scene of X-Men: Apocalypse. Now it appears that Mr. Sinister may not be the main villain, as a new photo has emerged that confirms Boyd Holbrook plays Donald Pierce. More on the story below.